2. Do not forget to eat something. After having good breakfast with enough carbohydrates and proteins it could be better to have some snacks with you. You’ll already have enough water and will drink it. Carbohydrate rich snacks will help especially to long distance cyclists. If you are cycle enthusiast and regular cyclist you have probably cycling clothes and some them are appropriate clothes for the summer cycling. Actually if you will cycle in the very hot day you should already buy appropriate cycling clothes. If you don’t have one you can choose the light clothes and these clothes should be made from natural raw material. Dacrons could make it difficult to breathe. Especially for those who will cycle for many hours should be careful against direct sunlight. After wearing right clothes, you may use sun cream for the open part of your body. Protecting your skin is important against the possibility of skin cancer. A quality sunglasses are important for the ride because harmful sun rays could damage your eyes in prolonged exposure. UV rays one of the most harmful rays and could cause undesirable results to your eyes. The sunglasses you choose should be reliable about preventing the harmful sun rays. You’ll already wear your helmet while cycling, but if you don’t choose the right one it could be torture. So it could be better to buy helmets with the cooling ventilation feature. It will protect you head from the sunlight beside protecting against any impact. Your cycling hours are one of the most important thing about your activity because you should even not go out under the direct sunlight. But if you have to go out for cycling, I mean if it is mandatory for you it could be better to choose early morning hours or late afternoon if it is possible. I don’t know there is a need to say but having health issues are very important for sports activities. 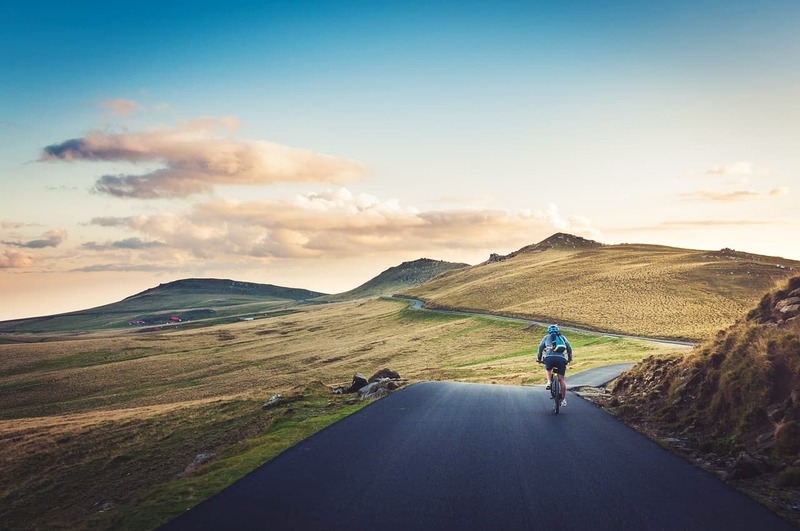 Cycling is an activity in which you should make an effort and in a hot summer day it will possible to make it worse if you have some health issues especially like blood pressure. I’m sorry but your age is very important and if you are over 65 years old you should be more careful while cycling in the hot summer days. Excellent list, Dino. Spot on! As one with a long history of loving bike trips, I agree whole-heartedly with your advice! Good work!